Cleansers, wipes & lotions to keep ears and eyes clean. 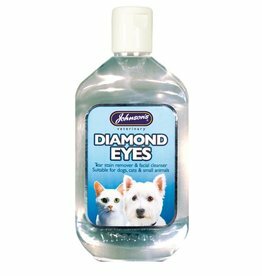 Johnson’s Diamond Eyes Tear Stain Remover is a gentle, mild formula, specially developed for cleaning beneath and around your pet’s eyes.Effective in preventing tear stains. 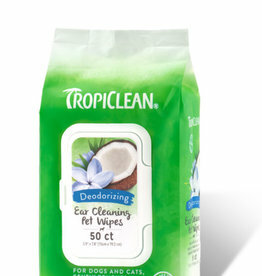 Tropiclean Ear Cleaning Wipes 50 pieces. 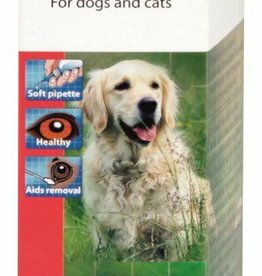 These Ear Cleaning Wipes gently wash and freshen your pet's ears with less mess. Tropiclean's mild coconut cleanser lifts away wax and debris. 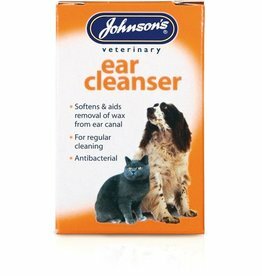 Johnsons Ear Cleanser is ideal for regular cleaning of the ears. Softens and aids removal of wax and other debris from ear canal. Can be used regularly to keep pet's ears clean and wax-free. 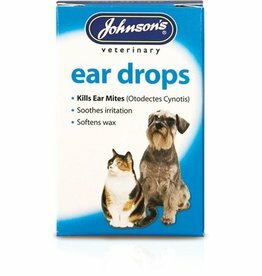 Otodex Ear Drops is for the treatment of ear irritation and otitis externa caused or complicated by infection in dogs and cats. Clears wax. Relieves scratching. Kills mites. 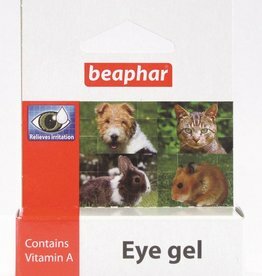 Eye cleaner for dogs and cats, with a soft 'pipette' style applicator.